Antique small table or stand with painted stenciled drawers. It is constructed of solid Cherry wood with a mahogany veneer. The drawer is all hand dove tailed on the front and back. 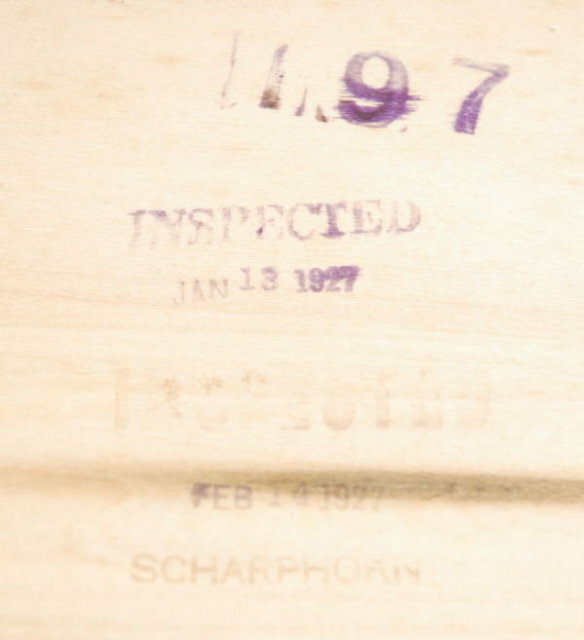 On the bottom of the drawer is a date of 1927 and a stamp for the furniture maker. 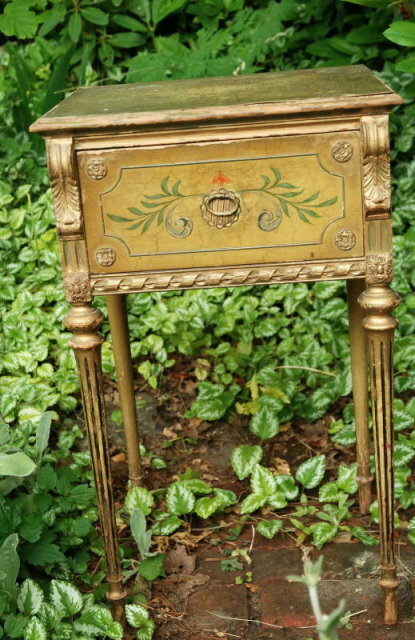 I think the table used to be gilt but that has worn off. 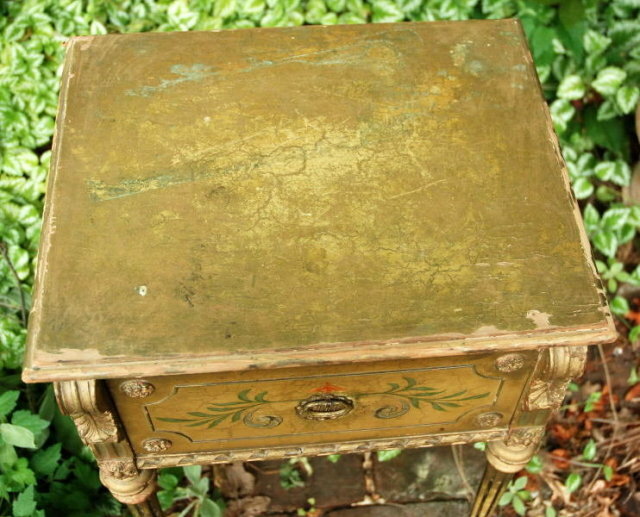 However the remaining goldish green paint is crackled and chipped. It makes for the perfect shabby chic/ distressed look naturally. The front leg are vertically carved with applied scroll work. The drawer with the original hardware has applied medallions. It is 28.5" tall 17" wide x 14" deep. The condition is very solid and sound. As you can see the paint is cracked and chipping as well as some of the veneer around the edges. This would be a rewarding project however it is charming enough to use as is. 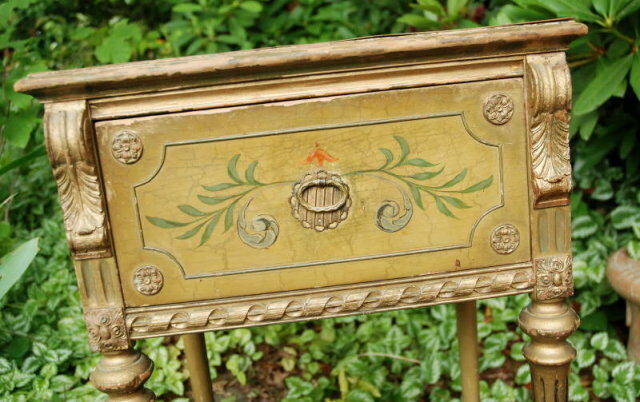 Items Similar To "Antique painted small table or stand with drawer 1927"